He had a chequered spell at Anfield. Initially he had found it difficult to displace either Alan Hansen or Mark Lawrenson in the Liverpool defence, but showed great patience, and by 1985 he had earned a place in the team. In May 1985 he appeared in the fateful European Cup final in the Heysel stadium and he brought down the Polish international Boniek for the penalty that allowed Michel Platini to score the winner on that tragic night. 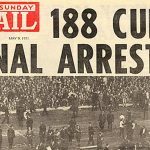 The Liverpool team who won the league title in 1987/88 is generally regarded as one of the best English sides of all time. Gillespie played a major part amongst the greats of Beardsley, Barnes and Aldridge and he scored in the famous 5-0 rout of Nottingham Forest at Anfield in April 1988 when Tom Finney declared it as the greatest club performance he had ever seen. Gillespie had been linked with Celtic several times up until that point. 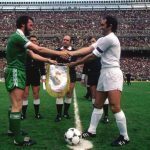 In 1978 Jock Stein was said to have been close to bidding for him and whenever Celtic where looking for a centre back then Gary’s name would invariably crop up. The added bonus to the rumours was that he was a boyhood Celtic fan and it was always felt that both Gillespie and Celtic would eventually hook up one day. The initial reaction to Gillespie’s arrival at Parkhead was positive. 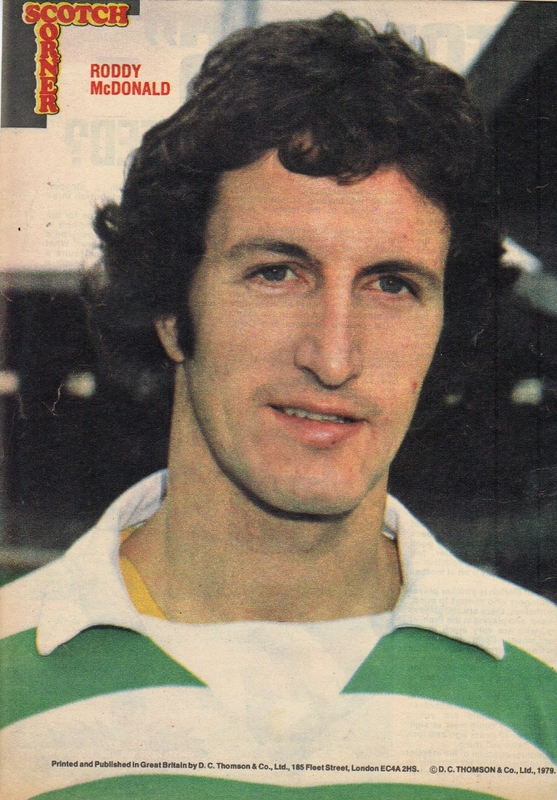 It was felt that Brady had pulled a coup by obtaining him, and his technique and experience was seen as a major asset to Celtic. However some observers noted that Gillespie was 31 and had been injury prone in his latter years and that £925,000 would represent a major gamble. Gary Gillespie made his debut on 17 August 1991 at Parkhead against Falkirk. 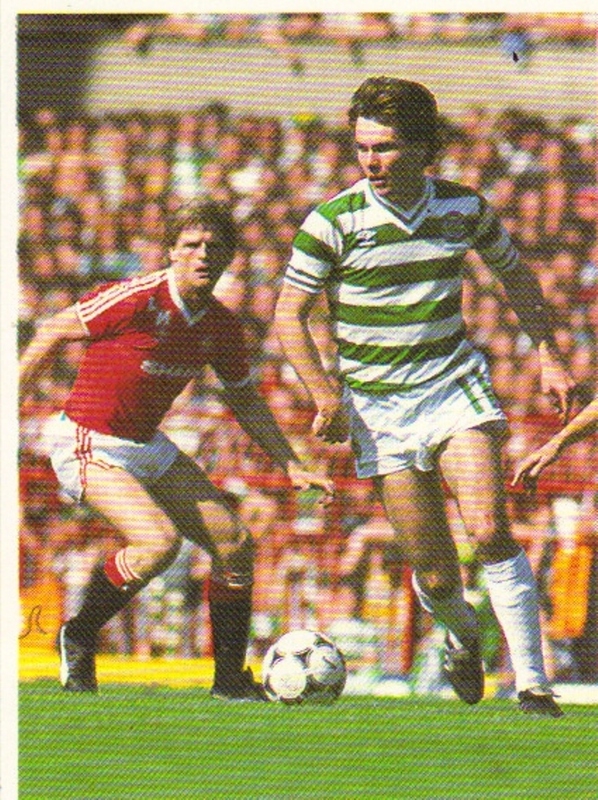 Celtic won 4-1 with Tommy Coyne bagging a hat trick but the highlight of the game was a goal by Celtic’s new defender. On the stroke of half time he took a pass from Steve Fulton in the area, moved forward, drew the goalkeeper and rounded him, before slipping the ball into the net from a tight angle. It was an exquisite goal and one that would be recalled for some time. After an initial good start under Brady things deteriorated for Celtic and Gillespie. His cultured style in defence did not suit the hurly-burly of the Scottish game where physical centre forwards rather than forwards with technique were the order of the day. In his Old Firm debut his ex Coventry team mate Mark Hateley had destroyed the Celtic defence who had looked totally uncomfortable with Hateley’s aggressive style. For this reason Brady splashed out another one million ponds for the rugged Middlesbrough centre half Tony Mowbray. The hope was that Mowbray’s rough edged action style would compliment the classy play of Gillespie. Sadly, both of them rarely played together through injuries and they were never able to form the intended partnership. Gillespie still left Celtic fans with some favourable memories. 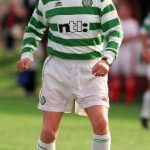 In February 1992 he went on a glorious run from defence down the left wing, beating four opponents and gained Celtic a corner. He was interviewed after the game and he stated that footballers should be able to improvise during the course of a game and if you get the ball on the left wing, even as a defender, you should be able to play as a winger. In October 1993 he showed his class when Celtic defeated Rangers against the odds. 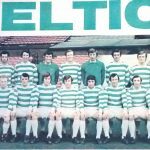 He started Celtic attacks from defence and even though the game was typically rowdy the Celtic team stuck to their job and it was a delight to see Gillespie, McStay, Collins and Nicholas give such a great display of passing football. Brian O’Neil’s last gasp winner was the icing on the cake. Days later he showed his experience to great effect when Celtic beat a Luis Figo/Jorge Cadete inspired Sporting Lisbon was beaten 1-0 at Celtic Park on a night that Celtic weathered tremendous pressure during the 90 minutes. Gillespie was given a free transfer by Lou Macari in the summer of 1994. His cultured style was never going to sit easy with wee Louie’s team of runners and, in truth, Gary’s Celtic career had rather fizzled out. Gary Gillespie was a class act and on his day was as good as any Celtic defender in the modern era. He had a football pedigree few can match and it is a huge regret that the big man could not have played at a better time in Celtic’s history when his talents would have been more noticeable and more appreciated. Click on the images to see the full size version.